16 March 2015 (Joint Release with Singapore Airlines) - Singapore Airlines and SilkAir customers transiting in Singapore can continue to look forward to a rewarding transit experience with the extension of the Changi Transit Programme in partnership with Changi Airport Group (CAG). Under the extension of the Changi Transit Programme to 31 March 2016, Singapore Airlines or SilkAir customers who transit through Changi Airport on either carrier can redeem a Changi Dollar Voucher (CDV) of $20 or $40 value, depending on their point of origin. Singapore Airlines or SilkAir customers who are connecting on select Air New Zealand-operated flights to or from Auckland can also redeem the CDV. The CDVs are valid for one-time use at more than 510 retail, food and service outlets in the transit and public areas of Terminals 1, 2 and 3. They can also be redeemed for one-time access to the Ambassador Transit Lounge at Terminals 2 and 3 for up to two hours. Services at the lounge include showers, light refreshments and a wide range of reading materials. Travellers can also look forward to amenities such as airport-wide complimentary WiFi, movie theatres and themed gardens while transiting at Changi Airport, where a convenient Skytrain transport system in both the transit and public areas provides easy access to all three terminals. Mr Lim Ching Kiat, CAG’s Senior Vice President for Market Development, said: “Transfer traffic is a vital component of our air traffic which helps bolster Changi Airport’s position as a premier air hub in Asia. We are delighted to continue our partnership with Singapore Airlines and SilkAir to grow the Changi air hub through the extension of the Changi Transit Programme. 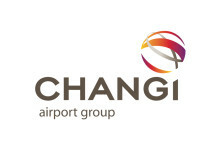 With the range of different activities and facilities for transit passengers offered at Changi Airport, we would like to encourage more passengers to explore the airport and enjoy the Changi Experience during their layover."